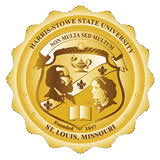 All nominees must be currently enrolled at HSSU with a minimum of 12 credit hours. All nominees must have a cumulative GPA of 2.5 or above and have sophomore 1 through senior 1 status. Candidates must be able to serve for two consecutive semesters. Students who will intern or student teach during their term are not eligible. All nominees must be willing to participate in leadership training and development activities if elected to office. If elected, each nominee must build his or her class schedule around the regularly scheduled meeting of the HSSU's SGA. The 2.5 cumulative GPA must be maintained throughout the term of office.